This cosy holiday home has been decorated with warm colours and includes a large garden with an outdoor barbecue grill. 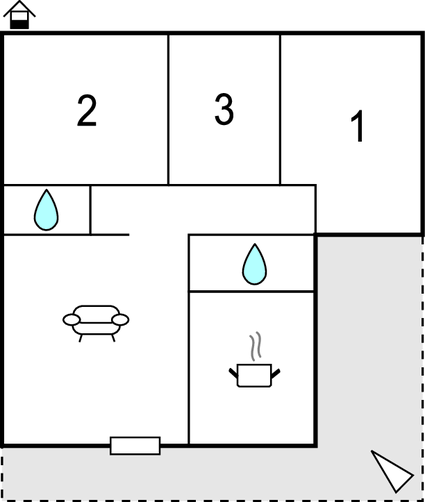 The interior consists of 3 bedrooms, 1 bathroom and air conditioning. You will also find a hot-water shower outside. The large terrace is perfect as a play area for children and for you to savour a glass of wine with your friends or family, or otherwise simply lose yourself reading a good book. 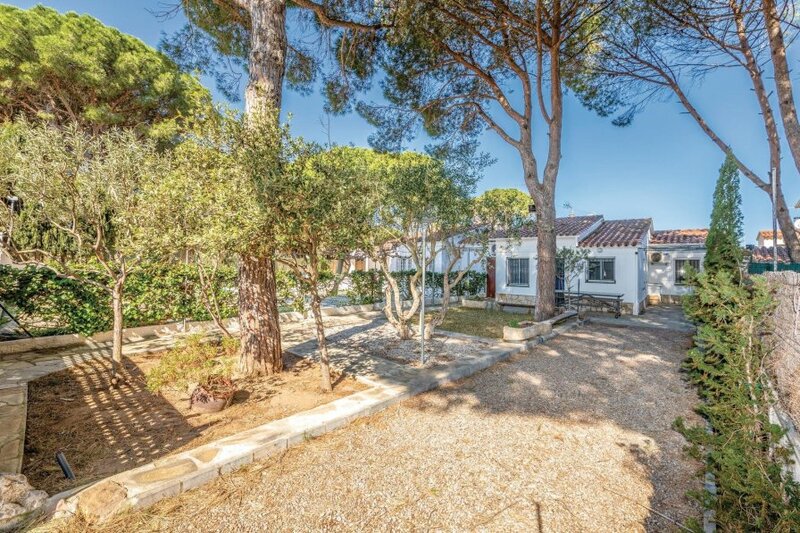 The house is located in a very quiet residential complex of L'Escala, close to the beautiful beaches of Bahía de Roses. L'Escala is known for its marina, where you can try out various water sports or enjoy the festive atmosphere during summer and at weekends. You will also encounter all kinds of recreational activities for the entire family, such as golf, spas, water parks and trails to take a hike or go horse riding in the mountains. This solidly constructed villa was originally built in 1990 and refurbished in 2012. The agent has rated it as a three star property so it is a well-kept villa, equipped with standard furniture. It is also good value for money. The villaIt is located in L'Escala, 23km from Figueres. The nearest airport is only 45km away. It is set in a very convenient location, just 800 metres away from a sandy beach. There's also a restaurant only 800 metres away.